A few days ago, "my memory turning to lace" could not produce the name of a woman I met at the British Women Writers Conference 2010 and with whom I had had a lovely conversation re. Christian Rossetti. I know that all my conference notes are carefully put away somewhere. Where? Not found. In turning a closet and one room into a disaster area, what I found was an archival box labeled: "K To Do" which I had not seen since we moved in 2012. Oh, my! Most stuff went straight to recycle but buried away were some pages torn from spiral notebooks. I usually keep a notebook at hand to scribble random thoughts, notes, to do lists, my journal. When a notebook is full I rip out the scribble pages, put an end date on the cover, and put it on the shelf on my other journals. I am always left with a few things that need to be transcribed to one of my projects. Such were the items that I simply abandoned and forgot. "Among those whom I like or admire, I can find no common denominator, but among those whom I love, I can: all of them make me laugh." W.H. Auden (1907 - 1973) I have no idea where I read this quote or why I noted it. For me it's not particularly true. The paper indicates that I noted it in the early 1980s and also has a tree of computer commands that I think are probably for my first computer, a KayproII which David bought for me the first year it came out (1982) and I most happily used well into the 1990s until I finally had to give up and buy something that could run Microsoft Word. "If my life was, in my view, finite, how would I change my life today? Today is finite. Indeed, each moment is finite. "Today while it is yet today..." Choose. Is my current choice the best choice for me? Is the continual laying aside (putting off) my dreams a lofty self-sacrifice for the greater good? Or, is it, in truth, a betrayal of myself? If I made the best choice for me, without regard for others, would I do more good, ultimately, for others, too?" The type of notebook page and the pen I was using indicate that this note dates much later, the late 1990s. The first sentence may have been a writing prompt (I'm fairly certain that I would have written, "if my life were... finite... It's one of my grammarly sore spots.) from some psychological and spiritual guru or self-help book that I engaged before or during my Jubilee sabbatical in 1999. Still a good question for me to consider. Go see Mother & Daddy 4x/year Fall Spring Since they moved to Clifton I have gone much more often and Daddy died last year. I think that four times might be a better choice for me than the every couple of months that I try to keep on my current calendar. If someone told me what I'm telling me, I'd say, "Different times in life demand different priorities. It's okay to back off and do what you need/want to do for your family." I'd still say the same except "family" might be changed to "yourself." Mother and Daddy said, "You've been good your whole life, we think you should have fun." I remember when they said that. We were lingering over breakfast before I left Clifton to go home. Often when Daddy said bye to one of his kids/grandkids/brothers/cousins, he'd say, "you be good now." Mother interrupted him and said, "No, Kendall. Don't you remember what we said we were going to tell her from now on." And they said in unison, "You've been good your whole life, we think you should have fun." Made me cry then. Makes me cry now. puttering in my house & yard plant flowers! birds! I could have written that list yesterday. made three weeks after we got her. "Well, hello, Mandy. Welcome home, Mandy. It's so nice to have a dog where she belongs..." I still sing this one to her. 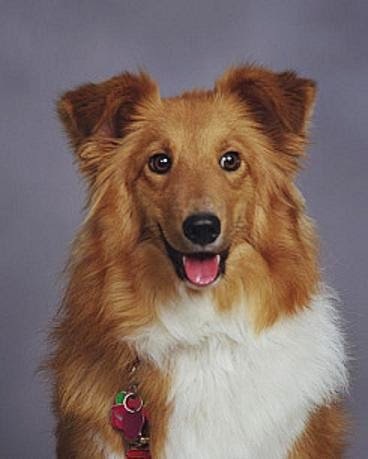 "I Enjoy Being a Dog..." to the tune of "I Enjoy Being a Girl" to be reprised as a duet "I Enjoy Having a Dog..."
"What Kind of Dog (Fool) Am I?" "Look, I'm a Lassie tonight!" to "Luck, be a lady..."
Other items will be going back into the box for K To Do later. Walter Benjamin. Clippings from a Google image search screen shot. I have always been an opportunistic reader, reading whatever happened to be at hand. I am also a disciplined reader; give me a list of required reading and I read through it. (Always excepting Ulysses by James Joyce--I tried and tried and tried again. Three strikes and out.) First and foremost, I am a meandering reader. When I read a book that mentions a book, I often go find that mentioned book and read it. I adore footnotes and bibliographies where more books can be found. Some of my most influential books and favorite authors were discovered in this way. Reading and the discovery of books is for me a metaphor for life: interconnectedness, chance, and serendipity. Larry McMurtry was an instructor, writer-in-residence, when I was an undergraduate at Rice University and I happened to be assigned to his section of English 100, 1967-68. At the time I was a science/engineering student or I would have missed that opportunity since potential English majors were assigned to English professors. Chance. Serendipity. Because I knew McMurtry, I follow his career and read his books, dutifully checking them off the list, although in general his books do not number among my favorites and I'm lagging behind the list. In a Narrow Grave: Essays on Texas (1968), Roads: Driving America's Great Highways (2000); Books, a Memoir; and my favorite Walter Benjamin at the Dairy Queen: Reflections on Sixty and Beyond (1999). So having read McMurtry, I read Walter Benjamin's Illuminations: Essays and Reflections . Interconnectedness. I read it slowly giving myself time to reflect and think. Serendipity. I had read bits and pieces of Benjamin long before; my German professor was fond of having us translate paragraphs re. Kafka and Lestov. I had gathered a few English quotes for a paper on Kafka. Kafka is on my "do not like list" just ahead of James Joyce. While I do not share Benjamin's admiration for Kafka, I forgive him all those awful German paragraphs because he was my introduction to Proust. ﻿Harry Zohn's translation with Hannah Arendt's excellent introduction was, and is, pure joy. A joy I had forgotten--Benjamin has a lot to say about remembering and forgetting--until I stumbled upon Maria Popova's Brainpickings: Walter Benjamin on Information vs. Wisdom which presents a nice selection of quotes with commentary on Benjamin's essay: The Storyteller: Reflections on the Works of Nikolia Leskov. 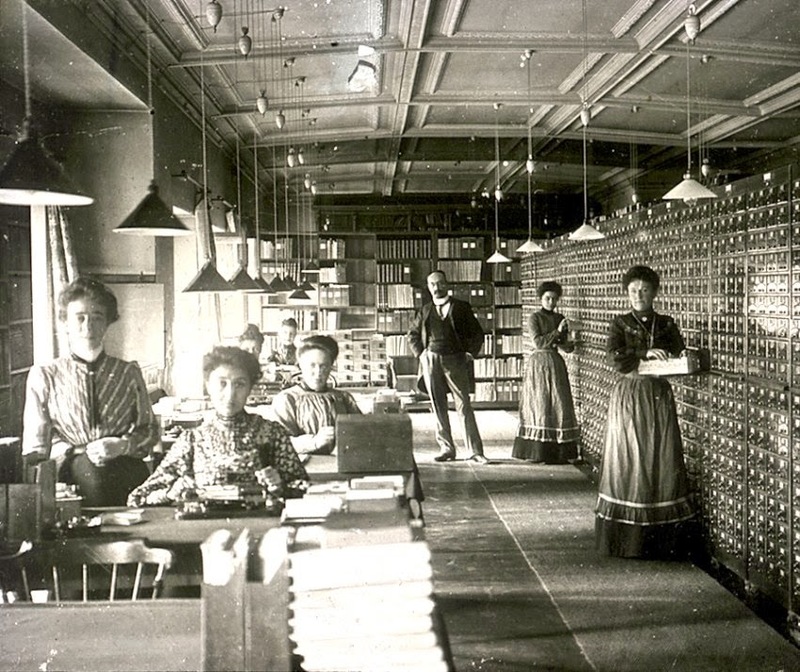 Paul Otlet and the Birth of the Information Age. I loved this early 20th Century photo! Quoting Popova's blog: "The most dazzling such transmutation takes place in an essay titled “The Storyteller,” in which Benjamin uses the work of 19th-century Russian writer Nikolai Leskov as a springboard for a higher-order meditation on the role of storytelling in society, the dangers of its decline, and how it shapes our relationship to truth, both public and private. The picture Benjamin paints begins in darkness but reaches toward the light." It is easy to see all the modern digital experience as interconnectedness, chance, and serendipity. My favorites of Benjamin's essays are probably quite predictable to those who know me. "Unpacking My Library: A Talk about Book Collecting" jogs my memory. I have not yet finished Alberto Manguel's The Library at Night which has spent well over a year at my bedside. Somehow it was displaced and lies neglected but I look forward to the life I read tonight. Serendipity, indeed. And one of my favorite McMurtry books is also about collecting books. "The Work of Art in the Age of Mechanical Reproduction" should be on every one's reading list. It anticipates and contributes to the discussion re. STEM and the humanities and why the humanities (history! literature! art!) are essential. Its relevance might be more easily recognized if the translation of the title had been truer to the German: "Das Kunstwerk im Zeitaler seiner technischen Reproduzierbarkeit" which Zohn revised to "The Work of Art in the Age of Technological Reproducibility" and I (with only my librarian's German) am bold to suggest "The Work of Art in a New Age of Technical Reproducibility." Given the very long time that art, literature, storytelling, history existed before the fairly recent advent of the scribe, the press, print, audio and video, digital ad inf. this Age is always New. The great thinkers of the past, like Walter Benjamin, help us navigate these uncertain waters. The Stanford Encyclopedia of Philosophy notes: "With the outbreak of war in 1939, Benjamin was temporarily interned in the French “concentration camps” established for German citizens. On his release a few months later he returned to Paris and there continued his work in the Bibliothèque Nationale on The Arcades Project. The notes for his unfinished research were left in the safekeeping of librarian and friend, the writer Georges Bataille, as Benjamin fled Paris before the advancing German army in the summer of 1940. The last few months of Benjamin's life reflect the precarious experience of countless other Jewish Germans in Vichy France: a flight to the border and preparations for emigration by legal or illegal means. Lacking the necessary exit visa from France, he joined a guided party that crossed the Pyrenees in an attempt to enter Spain as illegal refugees. Turned back by customs officials, Benjamin took his life in the small, Spanish border town of Port Bou, on September 27, 1940." What a horrible loss to all of humanity! Blame the petty bureaucrats at the border. Blame ourselves because we never seem to learn the basic lessons of compassion and peace. 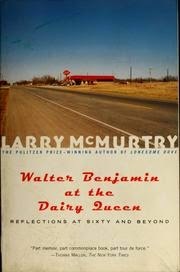 Oh the back roads of Texas, I never stop at a Dairy Queen without remembering McMurtry and Benjamin and meandering through the life I read.